Hair Algae forms around the base of slower growing plants, on gravel and bog-wood. It has green-gray color. It grows up to 4 cm sometimes more. 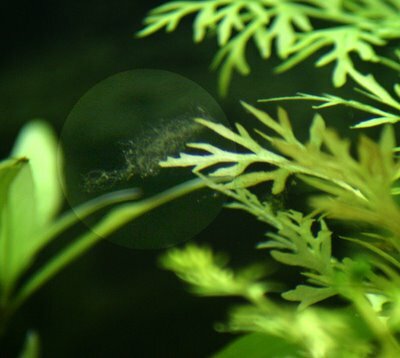 It is easy to remove this algae by twirling a tooth-brush around it. Most aquarists find this algae very welcome as a good food supplement for their fish. Most omnivorous fish like Angels or Barbs will supplement their diet with hair algae if not over-fed. In stronger water currents this algae forms matted clumps, as well as that, stronger water current will disturb their growth. 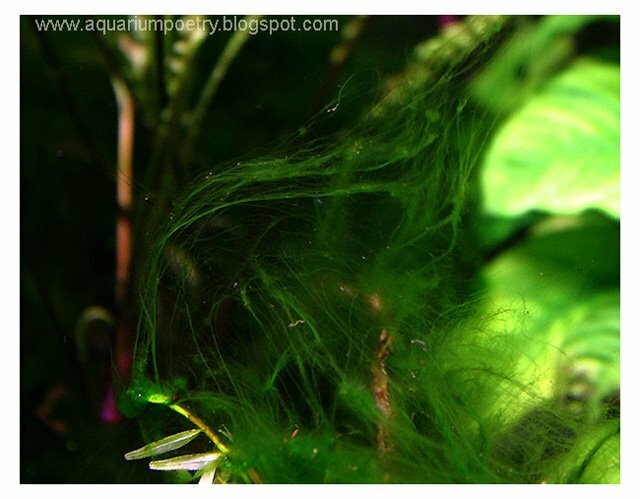 All algae eaters will be more than happy to look after the Hair algae for you.